Fear, anxiety, unusual activities, and costumed visitors can all pose threats to our pets during Hallow’s Eve. Whether your dog is prone to fear and anxiety or not, dogs are creatures of habit and when their “normal” routine is interrupted they can feel uncomfortable and even agitated. Halloween is no exception. The more than usual unusual activities can contribute to stressed out behaviors due simply to the fact that it introduces strange situations. Don’t let your dog be a scaredy cat. These 8 Halloween safety tips can help you and your pup to enjoy a safe and spooktacular holiday this year! With so many people out and about it’s important more than ever you keep your pet on a leash should they go trick or treating with you and your kids. They might be tempted to run to play with kids or other pets too so if things get out of control, best to take Fido back home. Learn how to find the best leash for your dog. If you stay home to welcome trick or treaters, put your pup in a crate or a behind a gate so they aren’t tempted to run out the door with so many visitors coming and going. Containment is also the best way to reduce the amount of stress that your dog experiences from exposure to strangers. In addition, not all kids play well with pets so keeping your dog contained will prevent unfortunate encounters between your dog and fearful trick or treaters. Find out which dog crate is the best fit for your pup. Costume or not, make sure pets are wearing current pet ID tags. If your dog were to get spooked and escape from home, they’ll be easily identified if they run out the door. (Luckily with so many people on the street he or she won’t get too far either!) Check out our review on best personalized dog tags. Doorbells, scary costumes, screaming kids, loud noises are inevitable, but try to minimize the spooky sounds as much as possible as not to terrify your dog more than necessary. If need be, use a sound machine or turn on the TV to drown out some of the background noise. KC Theisen, director of pet care issues for The Humane Society recommends having a safe haven in a room where they can feel safe, comfortable and relaxed and tucked away from any hazards. Pets often want to taste candy but sugary snacks is very harmful for your pet. In fact, chocolate can be toxic while other sweets can cause digestive problems. Stock up on extra dog treats with you so you can give them their own goodies. These symptoms may manifest over a period of time but once they start appearing, you should not ignore them since your dog’s health can deteriorate rapidly. The appearance of any of these symptoms should be addressed by a veterinarian. If your regular veterinarian is unavailable, you should seek immediate assistance from an emergency veterinarian clinic. Halloween décor often utilizes electrical wiring which can be hazardous for your dog. Dogs that are prone to chewing can easily electrocute themselves by chewing through wiring. Electrocution is frequently deadly for dogs, particularly small dogs. Electrical wiring can also trip up dogs and cause them to become entangled. Entanglement can result in sprains, strains, fractures and breaks all of which require immediate medical treatment. One way that you can avoid these instances is to tack electrical cord under the carpet or against the wall rather than allowing it to lie across common walkways. Dogs tend to rely on their sense of smell to identify familiar faces. However, this does not mean that they are aware of the appearance of people in their lives. Not only do Halloween costumes make people look different than they normally would, but they also make people look like nothing dogs have ever seen before. Hats, wings, unusual textures and added bulk can scare dogs invoking a fear response. For some dogs a fear response may involve “flight” or running away and hiding, but for other dogs this response can involve aggression. Even a dog with a calm temperament can become aggressive out of self-preservation instinct. So, to play it safe try to keep your costume to a minimum. Watch this video of a dog owner wearing a Halloween mask and seeing their beagles frightened by it. Glimmering candy wrappers and Halloween costume accessories can be attractive to dogs because of the way they catch the light and the way they smell. 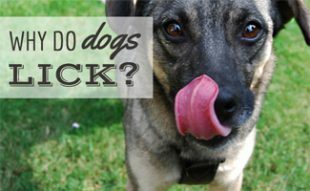 While most dogs eat something foreign during their lifetime and pass it without problems, many dogs also experience difficulty passing these items. When taking dogs out to the bathroom during Halloween ensure that they are kept on a short leash and keep a close eye on them at all times. If your dog does ingest an item use your judgment to determine whether or not you should call your veterinary clinic. In most instances small candy wrappers can be passed easily but larger items or unusually textured items can cause medical complications. If your dog does become sick from eating trash on Halloween, your veterinarian will need to perform tests to determine the best plan of action. It is important that you be aware of what your dog may have consumed to help your vet to determine this plan of action. Most often dogs with suspected obstructions will undergo an x-ray or an ultrasound or may undergo a barium x-ray. Each of these procedures is designed to highlight any obstruction in your dog’s digestive tract that could be causing their symptoms. If a blockage is identified, the vet may schedule surgery to remove the obstruction or depending on the situation, your vet may want to watch and wait for a short period before surgery. 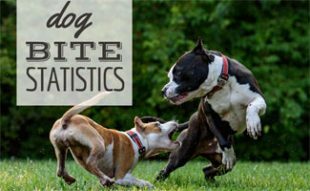 Overall, blockages are painful for your dog and expensive for you and should be avoided. The best way to do this is to walk your dog in well-lit areas on a short leash during Halloween. Make sure you have pet insurance in advance to help pay for any unexpected trips to the vet and potential mediacal procedures from Halloween hazards. While not all dogs enjoy dressing up for Halloween, some actually do. If your dog doesn’t like wearing costumes, don’t force him. No matter adorable, forcing the issue can result in bad behavior. But if they don’t seem to be bothered, by all means, go for it! Either way, it is important for these pets that their costumes be pet-friendly. Only use Halloween costumes that are recommended for pet use and do not use child approved costumes as these are not designed with pets needs in mind. Keep an eye out for any tags, tabs, strings or laces that can be chewed upon and look out for any part of your dogs costume that could become snagged, trapped or could get grabbed by other household pets. All of these instances can result in strangulation, other injury or extreme stress. If you do dress up your pet ensure that you are monitoring them at every turn. If you do have to leave home leaving your pet behind, make sure that you remove your dogs costume before doing so to eliminate the chance of severe injury. Be sure to read our article on dog costume ideas. Here are the tips above summarized below in a handy infographic. Above all else, Halloween should be fun for the whole family (including your furry friends). So keep these tips in mind during your festivities to ensure everyone stays safe and has a good time. 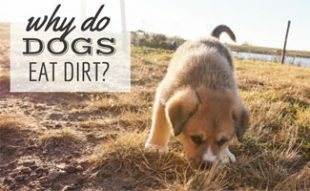 And if your dog is a monster, then here are some training articles to get your pup on their best behavior. Have any Halloween stories to share? Great post! Going to keep this in mind when I dress up my little Shih Tzu puppy next week. My son and I love our animals as much as any pet owner. But we will NOT be dressing our pets up for Halloween or any other holiday. I think that is so degrading to an animal that does nothing but give you his or her love. As if there isn't enough to make your dog anxious and upset around Halloween, why would you add to that by dressing them up in some costume? My son is so aware of his dog's feelings that he removes his collar every night before bed. I suppose he thinks that since he sleeps in his boxers, his pup may as well do the same (or as close as he could get). I cannot even imagine him trying to do something like dressing his pup up for Halloween. I am thankful for that! Your pet may also react badly to seeing the children (and even adults) wearing scary or strange costumes. More importantly, they may react badly to seeing YOU in a strange costume! So, again, try to limit there exposure to outsiders, especially on Halloween night. Seeing all of those weird outfits might be too much for them to bear. Also, it is possible that they would see a child wearing something that looks interesting and try to follow them. This could be a recipe for disaster, especially if they were to try and run across a busy street. If you must take your pet outside on this night (although this would not be recommended), use a solid and secure leash and collar. Make sure that they do not break away from your control. 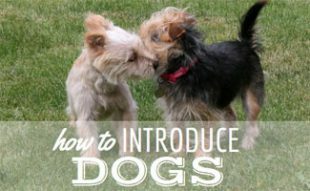 Having a number of visitors come to your home can also be very stressful for certain dogs. Of course, this really depends on breed and the type of personality (also pretty much breed dependent) your dog or puppy has. You know your pet better than anyone else. If they do not do well when someone comes to the door, consider doing something else with them on Halloween night. Maybe go for a drive, or do something fun with them. Since I am not a dog owner, I do not have too many ideas in this area, but am quite certain that there are some activities which can be found. Maybe take them to a lighted park where they can run around. Play Frisbee or something that you know they like. Another warning that should be obvious, but enough owners seem to forget or ignore, and that bears repeating are: human treats and candy are not meant to be eaten by dogs, puppies or many other types of animals. Seriously, certain types of candies can cause your pet to become really sick. Not to mention all the idiots out there doing crazy things like putting razor blades in candy apples, etc… Maybe buy Fido some special dog treats for this night and the following day or two. Whatever you do, do not give your dog any candy! 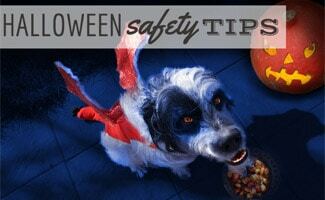 This also includes making sure that the kids do not mistakenly feed any candy to the family pet. The edible antics also should include pumpkins and decorative corn. These plants are considered non toxic generally, but many types of dogs will get stomach pain and upset if they eat these things. Also, you want to make sure to hide extra wires. Wires and cords can sometimes look irresistible to pets. The problem, of course, is that they can really hurt themselves by chewing or pulling on them. Please keep them out of reach. Finally, dogs can react badly to loud music, sounds and unexpected noises. Just try to keep them away from all of this as much as possible. It is not as difficult as you may think if you apply just a little bit of creativity to the holiday times. A dog who is excitable like yours would almost certainly have a more difficult time during the holidays. Their stress level may rise. They may not understand why their regular routine is being changed. Also, there are so many more comings and goings, and all different types of new people who seem to be around. It can be a bit too much to handle. There will likely be a number of new people coming to the house for Halloween. This includes new smells and things which your animal may simply be compelled to investigate. After all, most dogs are really very territorial. They see your home as their domain. This is why they often bark when a new visitor enters. The sound of the doorbell may also be a cause of stress to your animal. Some dogs do not like the sound of the doorbell for whatever reason. If this is the situation with your pet, you are likely already aware of this. There are solutions to all of these issues. The first thing we should do is to simply focus on keeping the routine for our pet as regular as possible. It is certainly not always possible to have everything exactly as is on non-Halloween nights, but making an effort will go a long way to help. You should also try to spend some good quality time with your pet during the day. This can include good walks and even romps through the park. Give them a chance to get outside and walk, run and play. This is an excellent opportunity for an animal who may be experiencing a higher level of stress to come back to normal. If possible, you may want to try and limit their exposure to strangers who come trick or treating to the house. Maybe having them in the back yard at times when you know many guests are likely to come over. You may also want to consider disabling the doorbell, at least temporarily. If you already know that the sound drives your dog crazy, why subject them to this form of torture? Especially when you know that there will be all kinds of trick or treaters. In fact, you may even want to consider having a help yourself type of candy bowl outside the door. This way, you may never receive a knock at the door. On the other hand, you may have to refill the bowl many times, especially if you have a number of greedy little kids in your neighborhood! This is a great article! So many people do not even consider their pet's comfort during this time. The holidays can be a time of high stress not only for people, but also for our pets. This is even true for our dogs. It is very important that we consider how they may be feeling and whether or not they are experiencing any type of anxiety. One of the most stressful times of the year for our four legged friends can be Halloween. There are so many unusual comings and goings around this time of the year. A dog or puppy really thrives on regularity. They have a certain routine that they like and they want this maintained. Sometimes, in the hustle and bustle of things, their routine can become disrupted. This is unfortunate and can actually cause such an animal a great amount of stress and worry. Incidentally, there has been a vast amount of research done on these topics. It has most certainly been proved to be correct that animals which are domesticated do indeed fall into routines. Now, this is also more true for an older animal than it is for a puppy, who may still be getting used to idea of even being domesticated or even getting acclimated to a new home or environment. I also think that the personality of your pet plays a huge role in how they react to the holiday times. For example, a dog which is already high strung would likely not react well to an increase in the noise, activity and commotion levels in the home. Our family used to have a poodle that was generally well behaved, but she absolutely hated being left alone. This was understandable. However, when we would return home, she became so excited as to be literally be thought insane! She would whine and cry and almost scream. Her pitch was very shrill and all the neighbors initially thought she was in pain! Then, our little April would jump all over all of us and run around like she was on speed! If we were really unlucky, she would be so excited as to lose control over her bodily functions and pee on either the carpet, furniture or us!